At this year’s Sundance Film Festival taking place in Park City, Utah, Oculus has premiered two virtual reality experiences—one titled Traveling While Black for Oculus Go & Rift, and the other called The Under Presents, which was teased as an interactive theater experience coming to Oculus Quest later this year. Traveling While Black is a virtual reality documentary film directed by Academy Award-winning director Roger Ross Williams and co-directed with Ayesha Nadarajah and Emmy Award-winning Felix & Paul Studios, created in collaboration with The New York Times Op-Docs. The film centers on the long history of the restricted movement for black Americans and the creation of safe spaces in communities. Oculus also unveiled a glimpse of another VR funded project at Sundance called The Under Presents created by developer studio Tender Claws, the team behind the hit game Virtual Virtual Reality and augmented reality experience TendAR that appeared at Sundance last year. The Under Presents blends immersive theater and virtual reality, allowing viewers to interact with characters and other participants in VR. It merges live actors and scripted performances with a narrative arc that centers on themes of time, fate and free will to tell a story within the story. 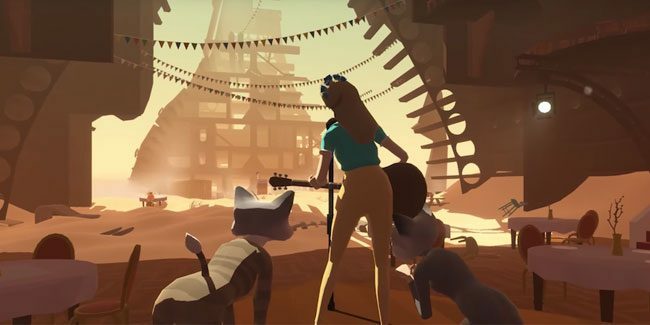 The Under Presents will be coming to the Oculus Quest standalone VR headset later this year.